In 2002, Big Fish Games was founded by Paul Thelen. The first game, “Critical Mass”, followed only three months later. “Mahjong Towers” came soon after, becoming a number one hit. Over the next fourteen months, Thelen produced another twelve games. When 2003 rolled around, independent game developers distributed games through Big Fish Games.com, while 2004 saw the company emerge as a top sales channel for many game developers. Big Fish Games began producing games in German and Japanese as well as English to open up a larger market base. As the company grew, they secured a top spot in online game production. The iPhone games followed suit. In 2009, the company and Harlequin Enterprises joined together to give their fans games based on Harlequin novels, such as "Mystery Case Files". Mystery Case Files is based on the "hidden objects" genre which has become quite a rage among old and young alike. As one of the largest companies to manufacture games, they have spread their headquarters out to Cork, Ireland. Big Fish Games are some of the best family style games on the market. Based out of Seattle Washington, the crew of Big Fish maintain a huge library, with a few of the favorites listed in this guide. on" with the "I Spy" puzzles to give hours of object searching pleasure. 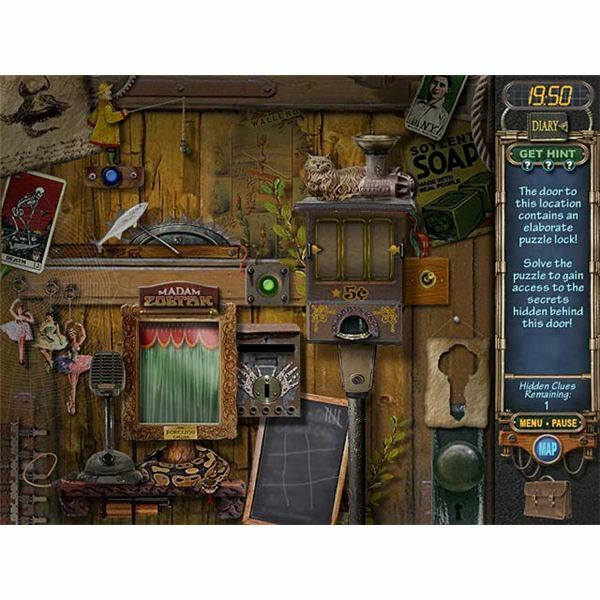 Hidden objects are buried in a vast array of other items, with a list of pieces you are required to find to beat each level. Plots and storylines keep you addicted, while the object puzzles are intertwined within. Join the fun in haunted mansions or be a detective to locate case clues in some of the best adventures they have to offer in these all-time favorites. You can have some Halloween fun with several titles in the hidden object listings or find a hidden treasure through tropic island fun, or return to the sixties and rock with REO Speedwagon on their journey to stardom. No matter your adventure choice, this genre of game delivers! Can You Beat the Time? Time management games are also a popular genre. You can try to serve plates of food to customers before they get angry and leave, or be in charge of rebuilding and operating an artist colony for hours of fun. The clock ticks as you rush around to complete tasks, advancing through levels as you go. Are you quick enough to make the final level? Other titles include building games such as Sponge Bob, where fans will find hours of play in the undersea antics of Sponge Bob Square Pants. Help Sponge Bob keep Krabbie patties away from the formula stealing Plankton to save the Krusty Krab or play dectective to solve a crime, as you discover puzzles and find objects in "Detective Stories". "My Tribe" offers hours of fun as you build up the population of your tribe and discover new technologies. Big Fish Games incorporates artistic graphics with fun plots and many hours of family game time through their titles. The abundance of the games, along with the lower cost creates hours of exciting play time for everyone. Hundreds of new titles are distributed by this innovative company every year to keep us entertained. Listed here are a few titles that will get you started on the exploration of one of the largest game production companies around.